Yes you read right. Probably best not to google this one as you might get some quite different results but this recipe is great for serving up with some beers when your mates come round. 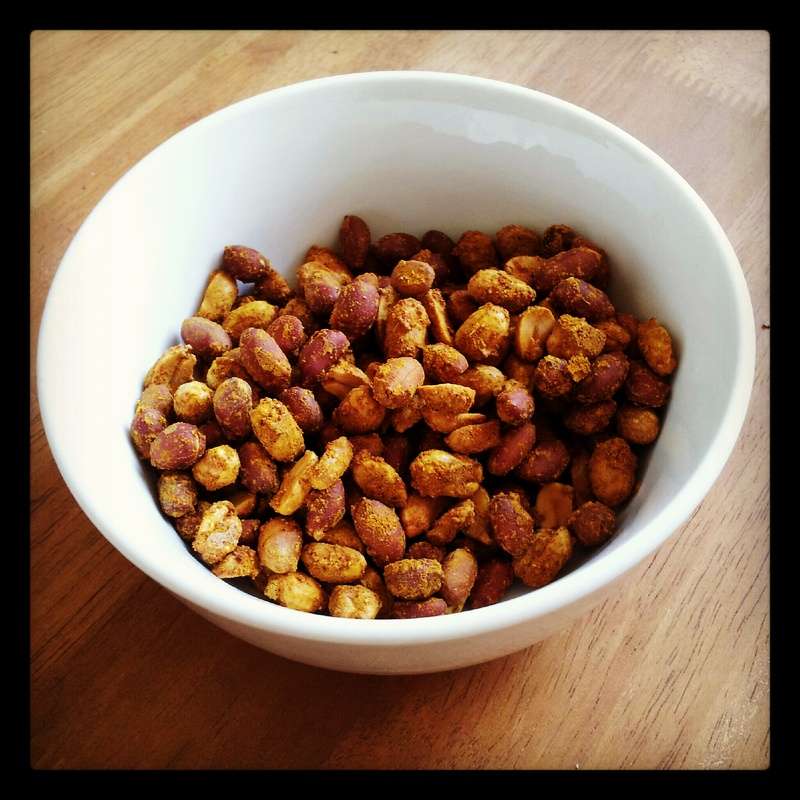 Unsalted, unroasted peanuts are used and there is no oil in the recipe so it’s not really bad for you either. Preheat the oven to 180C. Mix the spices and salt together in a bowl. Stir in the water until a paste forms. Add the peanuts and make sure they get a good coating. Transfer the peanuts to a roasting tin. Place the tin in the oven and roast the nuts for 5 minutes. Give them a good stir then return the tray to the oven and roast for a further 5 minutes. Repeat this process 4 or 5 times until the paste has dried out and the nuts have a lovely toasted aroma. Leave to cool then enjoy with a cold beer. These nuts are spicy so if you just want the flavour then leave out the cayenne which adds the heat. 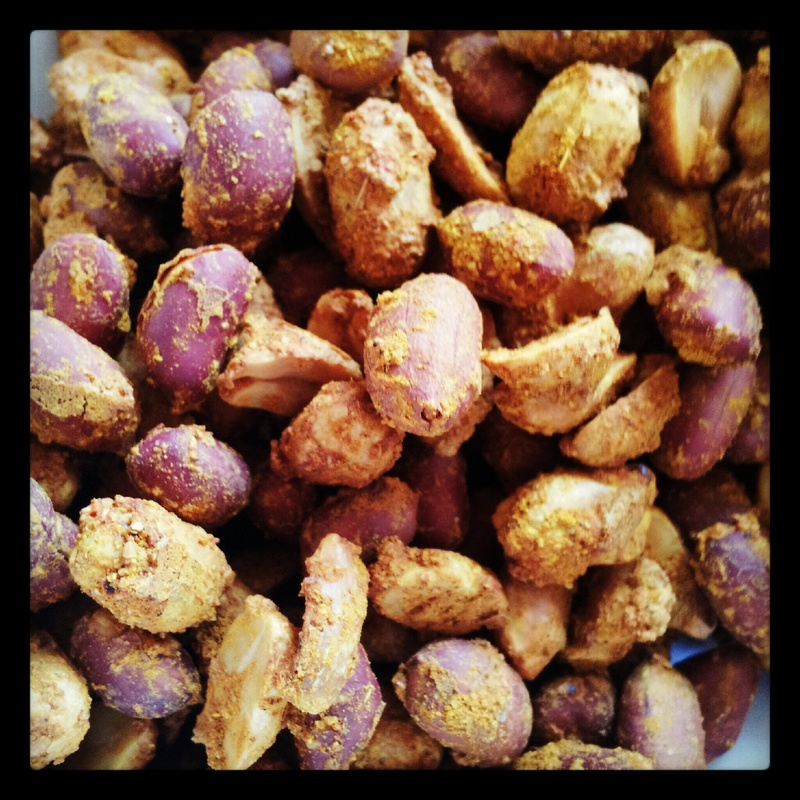 If you can’t resist and eat the nuts warm, they will also taste even hotter as the flavours mellow slightly once cool. You can keep these in an airtight container for a few weeks but they won’t hang around that long.